There are a lot of flasks in the world, but the vast majority do the same thing in slightly different packages. 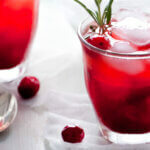 But some designers have pushed the category beyond simply supplying booze on the go. 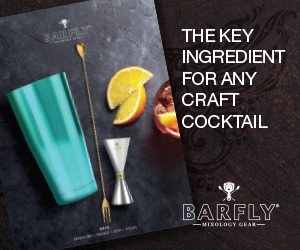 They’ve incorporated flasks into all sorts of sports equipment, camping tools and fashion accessories, making it easy to pack a beverage for any outdoor situation. While some innovative flasks are merely stunt products or cheap trash, these seven amazing flasks emerged as the ones we actually want to try in the real world. It’s cold out on the slopes, but there’s no reason to wait until you get to the bottom of the mountain to sip on an après-ski beverage. 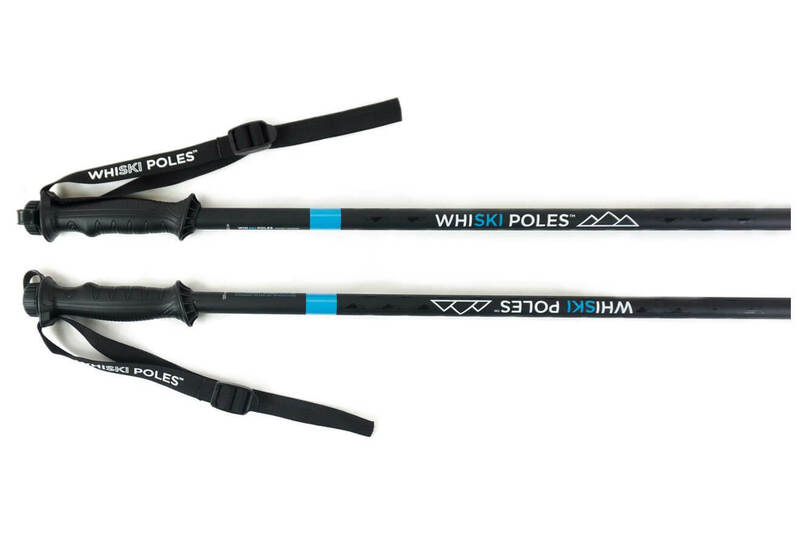 The ingenious folks at WhiSki Poles engineered these ski poles to pull double duty as mountaintop flasks. Each ultralight and durable aluminum pole holds eight ounces of liquid, which should be plenty to warm you up. Don’t worry about the logistics of drinking in the snow and wind—WhiSki poles feature easy caps that you can snap on and off through gloves, and the polypropylene rims prevent your lips from sticking to the poles like in A Christmas Story. Ahearne Cycles, a workshop in Portland, Oregon, puts out rad custom steel bikes for all the good riders of PDX. 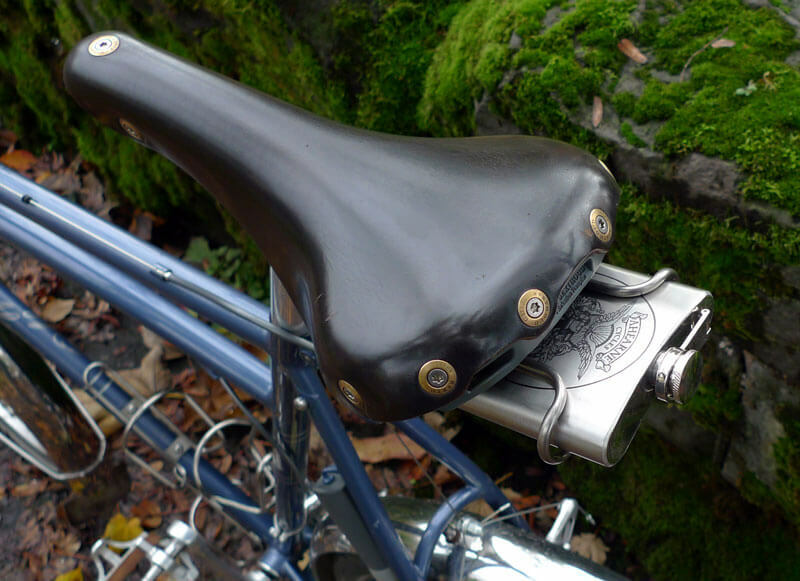 But the shop also crafts a number of handy attachments, including this underseat flask. While you can buy the bike mount alone and use it to hold any standard six or eight-ounce flask, Ahearne’s own flask, emblazoned with the shop’s unique crest, makes an awesome accessory to any bike. Plus, the Mud Flask won’t interfere with a traditional bottle cage mounted elsewhere on the bike. The sneaky flask market is booming these days. Retailers shoehorn hidden alcohol compartments into all sorts of everyday objects, making it possible to bypass security checkpoints and BYOB to a big event where vendors would otherwise gouge you on drink prices. Our favorite of the bunch is the binocular flask because it’s the only one we’ve actually seen work. A woman attending horse races on New Year’s Day at Cheltenham became a brief internet celebrity in the U.K. when she was spied on TV swigging from her fake binoculars. If she can get away with it, so can you. 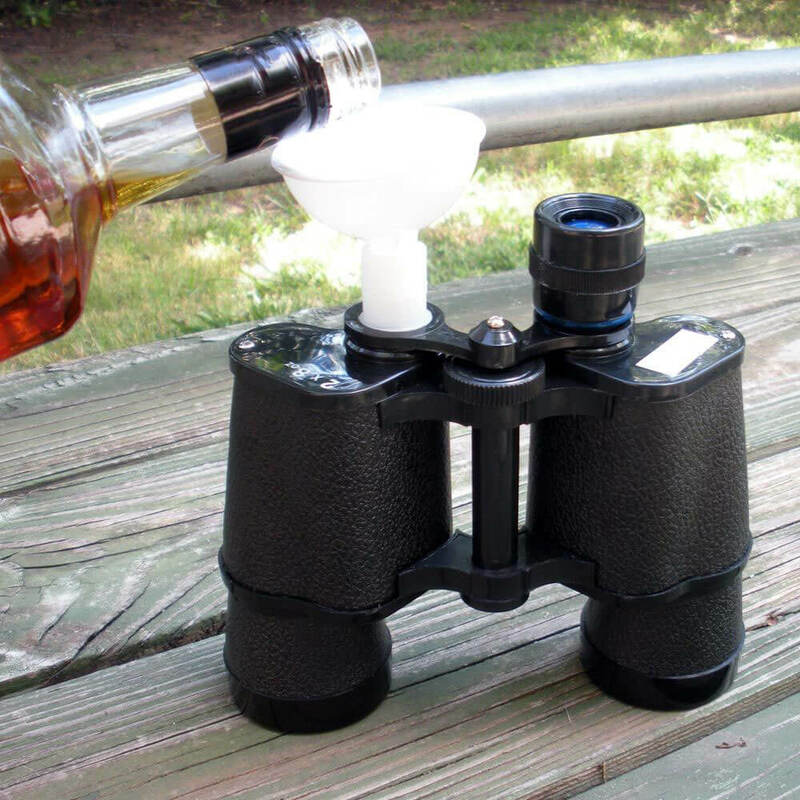 There are a couple models of the binocular flask available around the internet, so just be sure to pick one up that provides chambers on both sides. 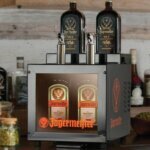 You’ll be able to fill each compartment with a different spirit, or make one a mixer to swish up cocktails a la minute in your mouth. There are really only three things you need in life: a compass, a flashlight and a flask. With those three tools, you can go anywhere, at any time of day, with any beverage. And with the tactical flask from VSSL (pronounced “vessel”), your toolbelt just got a little lighter. 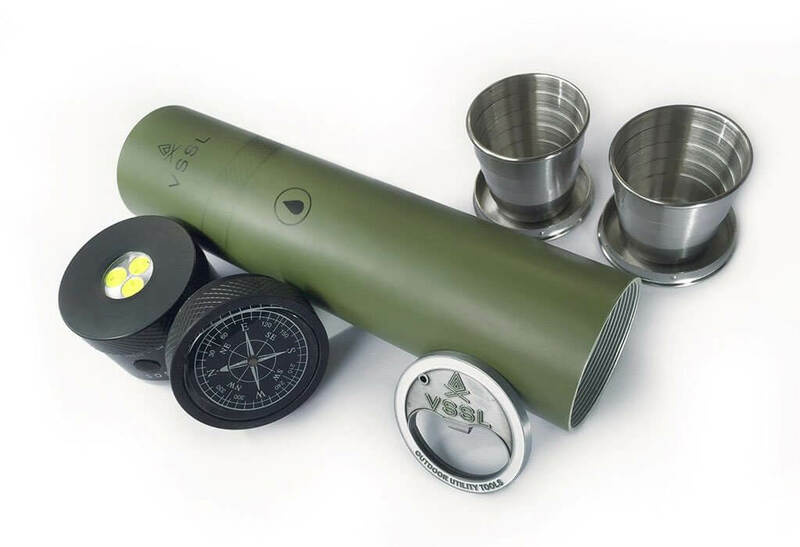 VSSL combines the classic flask with a four-mode LED light, an oil-filled compass, and two collapsible shot glasses. 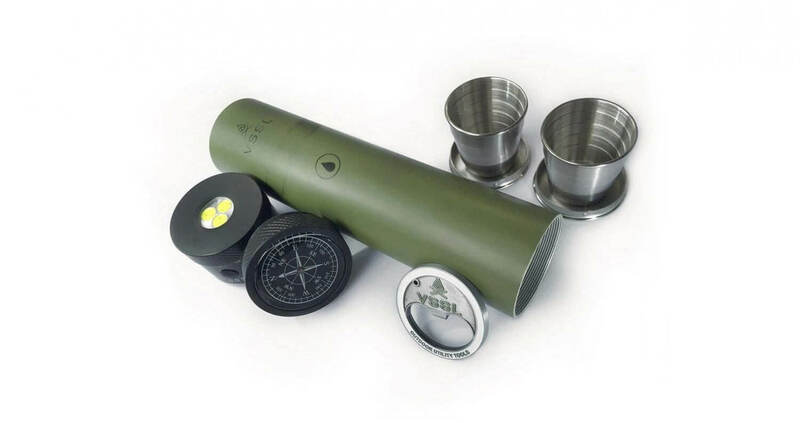 According to the brand website, which sells all sorts of stylish camping supplies, “The VSSL Flask was specifically designed to help you celebrate the summit, an epic pow day, or good friends around a fire.” If you weren’t planning on summiting a mountain or tearing up some fresh powder, you can still use the flashlight on a tipsy evening stroll through the park. Sure, there are more affordable bracelets that function as flasks, but this glitzy version from Cynthia Rowley outshines all those knockoffs. The gold-plated stainless steel bangle only fits three ounces, so make sure to pick a precious wine or spirit to complement the fancy design. 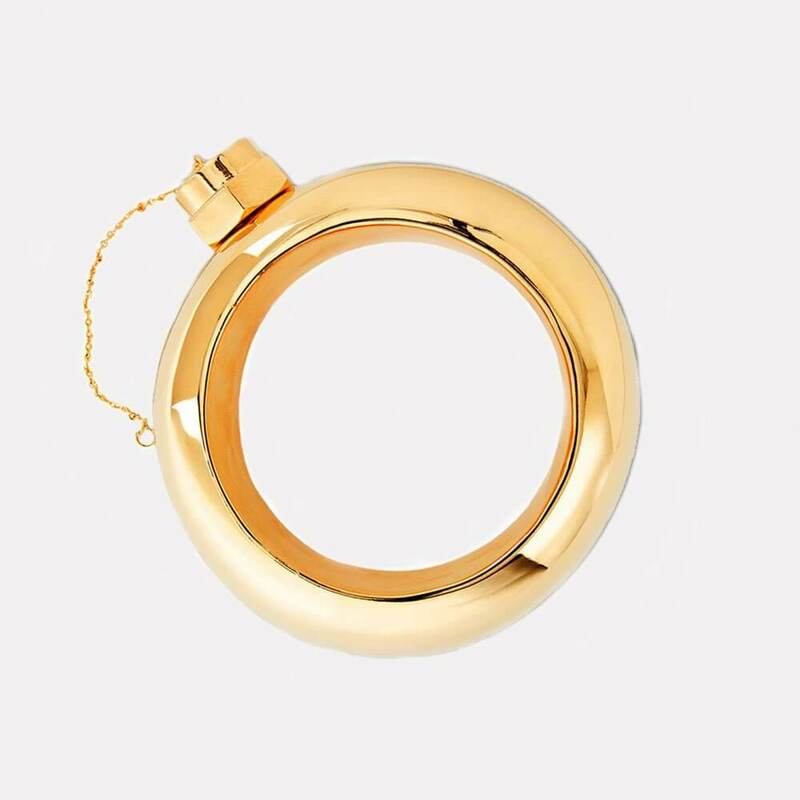 Drop more than $350 on this stunning flask, and your drinkware will be the talk of any soiree. Golf can be a slow game, but this cooler disguised as a golf club is sure to speed up the action. 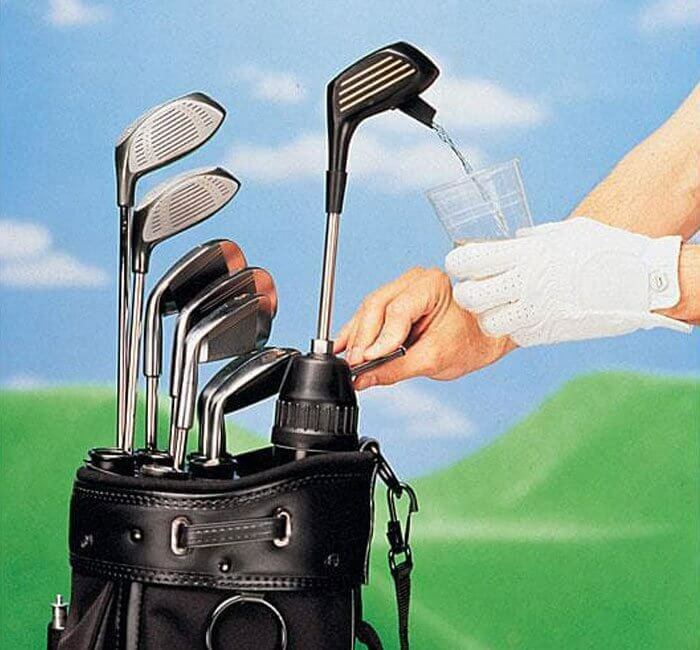 Snuggle the cooler among the clubs in your golf bag, fill the insulated chamber with your drink of choice, then use the pump dispenser to refresh your glass on any hole. With a hefty supply of booze in hand, the sun shining down on the links, and good friends to share the course, you’ve got the makings of a perfect day. All of the above products mash together a flask with some other tool to make something more useful and unique than either object alone. Firelight Flask doesn’t do that, but it does provide way more utility than your standard hip flask. 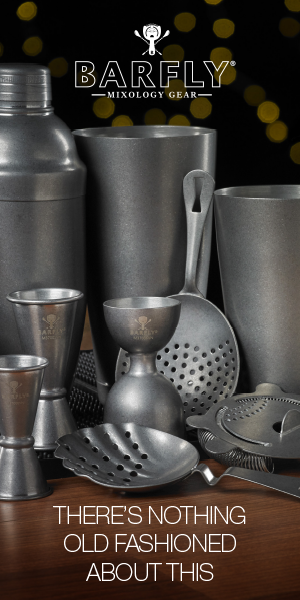 Most flasks serve one thirsty drinker. That’s great if you’re exploring the world on your own, but it doesn’t quite fit the needs of a social drinker. The team at High Camp get that, which is why they designed an oversized flask for sharing. 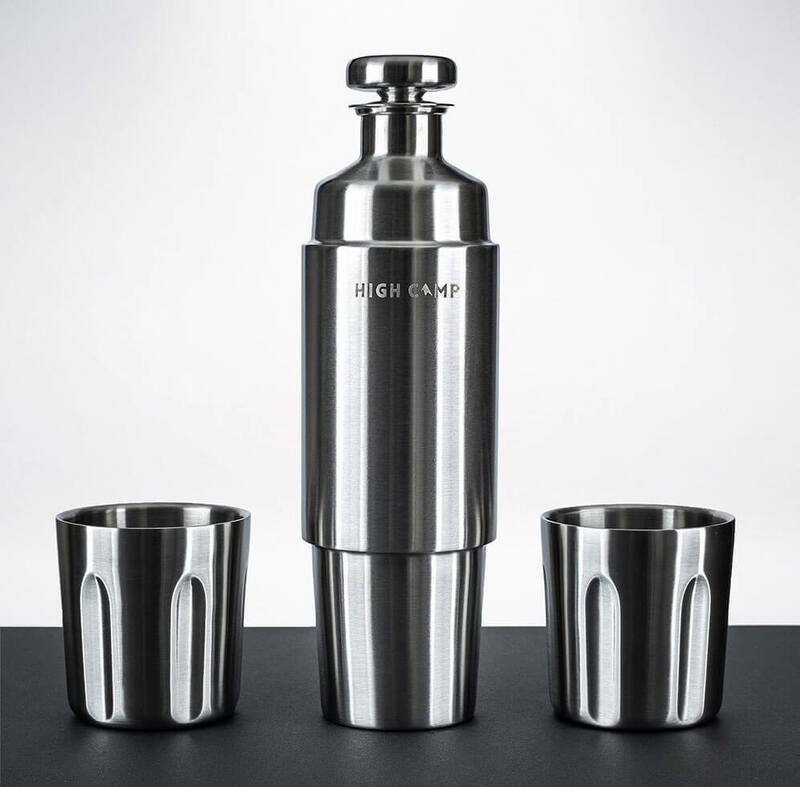 The 750-milliliter, stainless steel flask sports a sleek design that looks equally at home in a luxe speakeasy or camping tent. 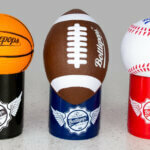 Two six-ounce tumblers attach to either end magnetically. 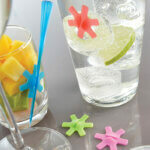 Designed to emulate classic six-shooters, the cups are easy to grip and provide enough room for a serious pour of your favorite wine or spirit. The Firelight Flask practically guarantees that you won’t run out of booze on a multi-day trip.